Home > Mind Over Matter > What is Hypnosis? Do you think that hypnosis was all about a slightly sinister individual swinging a pendulum in front of you while intoning "…look into my eyes…you are feeling very sleepy…you will now do only my will..."? Or does the word conjure up the image of sensible adults persuaded to strut and cluck like chickens on a stage while their friends enjoy the hypnosis show? If so, then think again. For thousands of years, people from cultures around the world have used various means to induce trance states, for example in meditation which is central to many religions. Hypnosis was originally called mesmerism, after Austrian doctor Franz Mesmer, who believed in a mystical force that the hypnotist infused into his subject, that he called "animal magnetism". The word hypnosis originally comes from "hupnos", the Greek word for sleep. According to the Oxford English Dictionary, it’s "the induction of a state of consciousness in which a person loses the power of voluntary action and is highly responsive to suggestion or direction". It is closer to daydreaming than sleep, because the subject remains alert all the time and it can be compared to the feeling of immersion in an absorbing book or film, when you're pretty oblivious to the world around. It's a type of trance state where the subject is very open to whatever the hypnotist suggests –if he tells you that you're eating strawberry ice cream, you'll "taste" it and "feel" a cool sensation in your throat as you swallow. You may lose inhibitions and do suggested things you would otherwise find mortifying, like a public rendition of the birdie song. But your sense of morality and safety are entrenched deep in your subconscious so you won't do something dangerous like trying to fly out of the tenth floor window, convinced that you're a bird. You also won't do something that you really don't want to. How Does the Hypnotist Induce a Trance? The entire process can take from a few minutes up to an hour, depending on the personality and mental state of the subject. The method used by most psychiatrists is progressive relaxation and imagery. 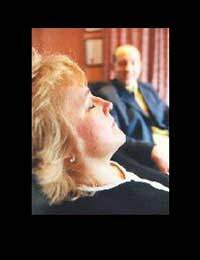 In a slow, soothing voice, the hypnotist gradually relaxes and focuses the subject until he reaches a trance. The method most publicised by Hollywood is eye fixation, where the subject focuses intently on a swinging object, usually a watch. Eventually, he tunes out other stimuli. In actual fact, this method doesn’t work too well in a lot of people.Stage hypnotists typically overload the mind with rapid, sudden firm commands. The novel feeling of being in front of an audience can help to put subjects on edge and more susceptible to the commands. Hypno-sceptics say that subjects aren't really in a trance, they've just been brainwashed into thinking they are by social pressure and the influence of the hypnotist. They think that they're being compelled to act a certain way or to feel less pain, so their mind goes along. It's like the "placebo effect" whereby just the knowledge that they're taking a pill can help people to feel better, even if the pill itself is only sugar. All medicines have about a 30% placebo effect, so it's nothing to be sneezed at. In the end, maybe it doesn't matter if a subject is really in a hypnotic trance or just thinks he is. As long as hypnosis is used responsibly some subjects seem to have a lot to gain from it. Hello, Thank you for writing such an informative website. I have had clairvoyant experiences and experience telepathy - exactly how you describe it. Best Regards. Robert.